Hope everyone stayed safe and warm during this week’s blizzard. I left work early the first day (this past Monday), and even so, it took me about 3 hours to get home. Everyone seemed to have the same idea which led to an early afternoon rush hour. We had a NYC shut down, where public transportation stopped after 11PM and cars weren’t allowed on the roads then as well. Some say it was overrated, as we only received about 1 foot of snow in our area. However, I’m not complaining about the snow day we all got! Anyway, I managed to get caught up on a bunch of TV & movies, and my pile of magazines. Being cooped up inside was the perfect opportunity to shop around online too. With the cold weather, all I’m wearing to work are jeans with additional leggings and tights. I thought it’d be best to look for an extra pair to make it through the winter. 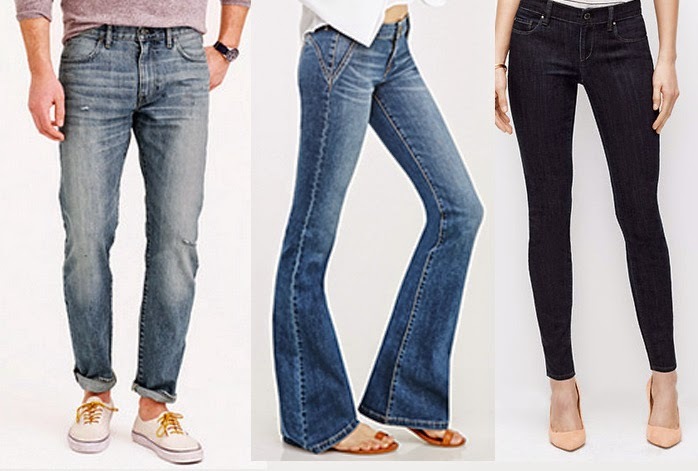 I always get skinny jeans, just because they’re so easy to wear with anything – though, I did think about wide leg jeans with all of the 70s trends coming back. I remember loving the flared look, and had a favorite pair that I used to wear all the time in elementary school. 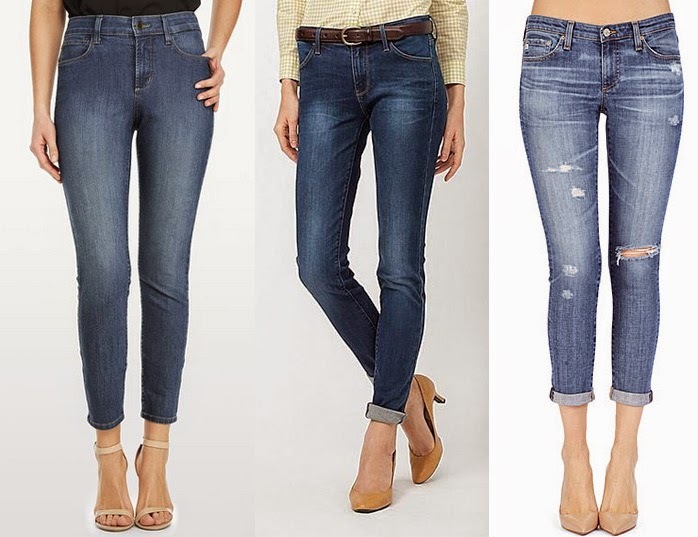 My favorite places to browse are: NYDJ, has slimming jeans with their exclusive lift tuck technology (perfect for getting away with snack binging & better than jeggings! ); Uniqlo with their free hemming service – (so convenient for a petite person like me!) and so many fun colors; I adore Adriano Goldschmied distressed jeans; Express petite sizes usually fit me perfectly; J.Crew men’s has the alternative for the slouchy fit for a boyfriend jean literally as opposed to the jeans for women which might have a slimmer fit; Forever 21 has more affordable styles, and of course, love the Ann Taylor ones, that seem to last me for years. FYI, my favorite tip for finding the right size is measuring the waist hem of the jeans folded, around your neck. You can tell if it’ll be too tight (if it doesn’t connect around your neck) or if it’ll be too loose (if there’s extra space around your neck). It’s such a time saver! 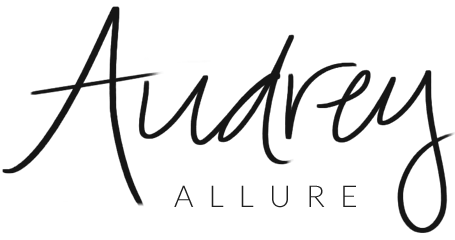 What are your favorite types of jeans?